At Clay Contracting our foremost priority is building custom, luxury homes of extremely high quality while maintaining the highest standards of honesty and integrity. It is the reputation for the combination of quality and strong ethics that has brought Clay Contracting success. 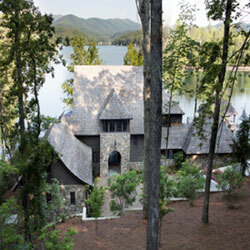 Please view our gallery of Custom Homes, Remodels and Boathouses on Lake Burton, Lake Rabun, and around Rabun County.